The purpose of these Landlord Waiver/Subordination forms (“Landlord Waiver[s]”) is to allow the lender financing a tenant’s improvements (that will be installed upon a landlord’s real estate) to have a first lien on such personal property, which first lien will empower the lender to repossess the improvements and sell same upon the tenant’s default of its loan. In some states, Landlords are granted, by statute, a lien on a tenant’s personal property at their premises. 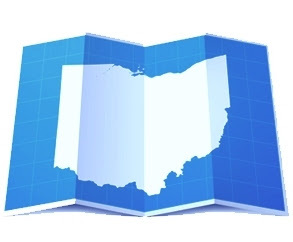 Ohio is not one of these states. So, subordination of personal property lien rights should not be a material issue in Ohio. Nonetheless, Landlord Waivers should not be looked upon as mere “boiler plate” or “standard” forms. While many of the provisions are “boiler plate” in nature, landlords are often on the wrong side of the armor, without protection of their own. More often than not, Landlord Waivers do much more than grant consent to tenant financing or subordination of a lien. They often serve to waive landlord’s rights (with respect to a tenant’s personal property) entirely, and grant access and other rights, far in excess of what a tenant is provided under its lease. The basic problem arises when a tenant defaults under its loan, usually resulting in a contemporaneous default in the performance of its lease. While the timing of such defaults is comparable, the interests and motivations of the non-defaulting parties are nowhere near comparable. Upon a lease default, most leases provide landlords with rights to terminate the lease and evict their tenant in relatively short order. Upon eviction, the landlord can then concentrate its efforts on getting a new tenant in the space and maximize its income. Upon default of a tenant’s loan, tenant’s lender, on the other hand wants to take as much time as it needs to protect the personal property; remove same at its convenience, at the lowest cost possible; and then sell the property to the highest bidder. 1) Definitions of Collateral- Typically, Landlord Waivers describe collateral as all of tenant’s property in general, inclusive terms. The problem is that items legitimately belonging to the landlord are often trapped within such all inclusive definitions. Provision should be made to specifically exclude from the definition of collateral, such items as: leasehold improvements; true fixtures; items that serve to operate the building vs. the tenant’s business such as electrical panels, light fixtures, HVAC equipment and security systems; and items that the lease specifically defines as the landlord’s property. 2) Access to Premises- The lender’s right to access a tenant’s premises should be qualified. Rights to inspect and remove collateral, while the lease is in effect should only be allowed at reasonable times, upon reasonable notice (and with a landlord representative present). Auction sales at the premises should be prohibited. Upon a tenant’s default of its lease (and loan), a lender will typically require time to enter and systematically remove collateral. This author has seen Landlord Waivers provide from 60-90 days to unlimited periods of possession of the premises, after a tenant vacates. A long occupancy can be problematic for the landlord, delaying or preventing landlord from re-letting its premises. Accordingly, this right should be limited. Thirty (30) days is reasonable. At most, a month–to-month situation allowing landlord or the lender to terminate the arrangement, at either of their options can provide the needed flexibility. 3) Price (Rent) for Access Period- At the very least, the lender should pay landlord for the duration of its possession, at no less than the rent the tenant had been paying prior to its default. The “rent” should be paid prior to the access. We often advise a “200% of rent provision” kick in if the lender overstays the agreed upon time of possession. It is amazing how much more efficient lenders can be when faced with financial penalties for delay. 4) Landlord Protective Provisions- The lender should be considered a short term tenant, and as such, should be willing to abide by the terms of the lease, for the duration of its possession, as it is essentially “stepping into the shoes of the tenant”. At the very least, the lender should have adequate liability insurance (and provide a certificate evidencing such coverage), should covenant to repair any damage to landlord’s real estate as a result of removing the collateral, and should indemnify and hold landlord harmless from any liability or expenses resulting from its access and removal of collateral. One might ask, why even bother enter into such agreements, especially when there may be no specific obligation in the lease to do so. The answer is simple- economics. Odds are the tenant needs the loan (and the lender requires the Landlord Waiver as a condition to the loan) to be successful at the premises. In some situations (SBA loans, for example) a lender might otherwise be willing to forego the Landlord Waiver, but they are required to present same due to governmental requirements. A reasonable, negotiated Landlord Waiver can help the lender-tenant-landlord relationship be a win-win-win relationship for all parties concerned. If “boiler plate” is to be used, landlords just need to make sure they also are fitted with well suited armor.